would doubt that you are using a 20 times leverage with your trades. you may have. Your claim is interesting….to say the least. I use my Swing Trade is the great equalizer in case anything goes wrong with any Day Trade. I use the Outlook Trade as the great equalizer in case anything goes wrong with any Swing Trade. No Outlook Trade has ever lost money, so I don’t have a back-up for that one. into your chart can give you an idea of where the mine fields may pop up. and a congestion is an invitation to Lucifier’s Slopchute and shoveling coal. What most traders don’t realize how deceiving the bid/ask spread can be. The best is EUR/USD by far than any other crosses. Good trading to you. Addendum: The poll is asking the wrong question…..Why? blown out of the box. They didn’t tell you that in any of the forex courses.. I agree – my first thought when I read the question was “false premise” = “false question”. The math is easy. You can be more than one type of trader at the same time, too. Which is a smart way to manage and preserve capital. The Outlook Trade in my system is one that runs at least one (1) month in duration, but can run up to as many as 5 months or more. Right now, my system is projecting the Outlook Trade to be up to 5 months targeting the $1.2450 level at the time of this post. However, because the systems targeting package is dynamic, those targets get changed with every tic. Only, with the Outlook Trade the changes in the target projections are less than a few pips per day unless there is a major move like we had a couple weeks ago, where the Outlook’s top side was $1.2300. At the time, the current price was in the $1.1700 range. Those pips are what you see in my trade journal on the “Outlook” trade profile where the system used the open price of January, in the $1.1820 level. So, a Long Hold when the system gave that entry price at the start of January, would have net 505 pips thus far before this 226+ pull back that we are seeing right now about one (1) month ago. Agreed, smaller pips are by definition easier than larger pips and I have some of the built into my system with the Initial Move trade and under certain circumstances, the Day trade itself gets truncated when the system does not have a strong enough probability associated with the trade. You are correct. 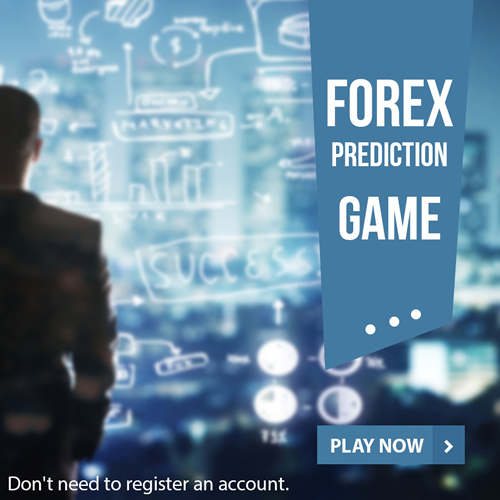 In fact, many people would be totally blown away if they were to calculate what just 5 pips per day could net them if the were able to accumulate those pips consistently on a daily basis using high leverage like 200:1, or even 100:1. Those peanuts add up really fast! Pretty soon, you are talking about some real peanut “butter”. fastest man on the track team. He’d even start off in a kneeling position. Tony, you remind me of a time that I remember through study only. I studied the times that you speak of, Sir. Creating Charts by hand. Yes! I remember reading about this and you are not kidding one bit. That is exactly the way it used to be. I don’t think the average young trader today knows the history of this business – they should, so they can appreciate all of the technology at our finger tips today. Many new traders don????? ?t even know that once upon a time, you had to create your own charts. My, my ?????? how much things have changed, now! I made my first million using Microsoft Excel. A millionaire using a Spreadsheet ?????? who????? ?d a thunk it?. Creating a new trading technology using a Spreadsheet created by a man who created an entire new industry using IBM’s software. Everybody in the chain using something that somebody else created. How pretty is that picture – darn pretty! I think it all boils down to how bad does one want it. Some of these new traders fall apart at the seams if things don????? ?t work out quickly for them. Too many ForexMadeEasy types flying around out there fooling everybody into thinking that this business is easy. It is not, it is extremely hard to make it ?????? it is even more difficult to thrive. I feel truly blessed. I feel like I????? ?ve been given a special gift and that is why I spend so much of my time trying to encourage other new traders to start thinking outside the box. Most of them just don????? ?t get it, however. My next target is the 10 figure level, just a soon as I can get completely out of the final development phase of certification and focus 100% of my time on trading. My grind is day-in and day-out. Simply turning over the same capital day, after day, after day, after day and reinvesting 90% of all of my profits on each and ever single trade. That kind of discipline, if you can maintain high accuracy will pay off even if you don’t turn 100 pips per day. A handful of pips per day, consistently over a period of time with good leverage, can lead to very good gains – but, the accuracy must be there and I think this is what separates the early days of retail trading from what I do now as a private institutional trader. I could not do what I do without the technology on several levels. High-speed network communications, direct access trading avenues, computer based decision support trading technology, client/server trading platforms, the ability to trade through any bank anywhere in the world, or any broker anywhere in the world in real-time, electronic EFT’s forward and backward – the opening of the FX markets to the individual more than 6 years ago. All of this makes for a real opportunity for the wise, creative and hard working trader. I absolutely live every single minute of it. Good trading to your son, I????? ?m sure you will teach him well! Nice dialoging with you, Sir. I prefer to be multiple pony thing, I believe you can’t become great by just one way instead you need to work it out through multiple ways. I like to trade according to the situation, as I believe that is the way forward to gain consistently. It will not work for us if we are not adopting an open route. That’s why it is the absolute must that we play it all accurately, as that is what enables us to gain most.